Survival Cave is well known for providing top quality emergency food supplies, and this canned ground beef is a perfect example. Each can contains 28 ounces of high quality ground beef for you and your family. With 12 total cans in each order, you’ll be getting a total of 108 servings, which is enough to keep your family strong and healthy for quite some time. Add this product to an existing food storage stockpile, or use it to start one off, so you have the food you need in the event of an emergency. Pre-Cooked Canned Food: When it comes to dealing with emergencies, nothing comes in handier than Survival Cave pre-cooked canned ground beef. Whether you are stuck in the middle of nowhere or faced with an unexpected influx of guests, there is absolutely no need to panic. Each can of Survival Cave pre-cooked ground beef contains 28 ounces of high quality ground beef, enough to provide a wholesome meal for you and your family. Leaders in the supply of high quality emergency supplies, Survival Warehouse have been providing emergency kits to the army, rescue aid workers and civilians for more than a decade. Canned ground beef is easy to store with a very long shelf life. Survival Cave pre-cooked canned ground beef is easy to incorporate into any ground beef recipes. This is the very best canned meat available. 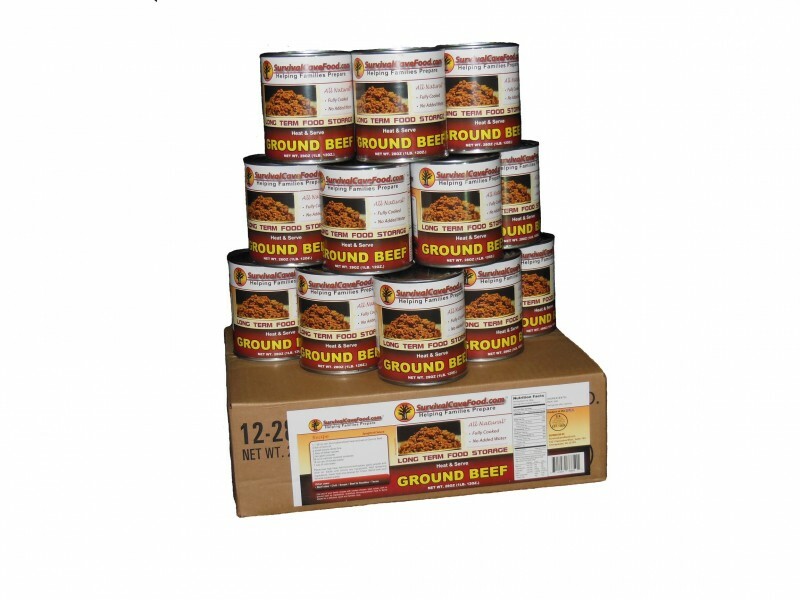 Survival Cave pre-cooked canned ground beefhave a very long shelf life to last for as long as 15 years. The best way to ensure your family is always prepared in case of emergencies is to stock a case of ground beef in your storage and you save yourself from dealing with hunger in a crisis situation. Since it is precooked and packaged professionally for long storage, canned ground beef does not need to be cooked again before eating. Survival Cave pre-cooked canned food tastes great and take only minutes to prepare, which is why many people prefer to have them as regular meals as well as storing them for emergency use. 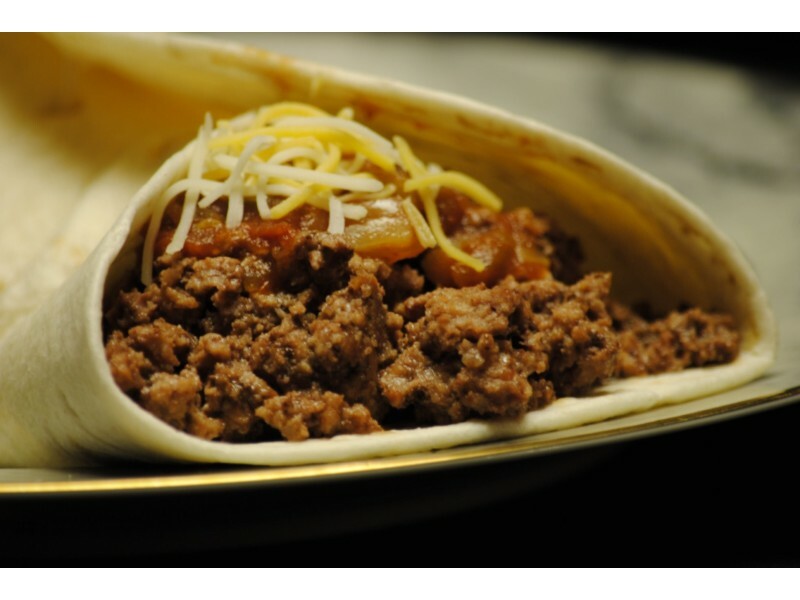 With so much flavor and nutrition packed in one can, children and adults alike find it difficult to resist the temptation of eating canned food with ground beef often. The best part about our ground beef is that they can be combines with any number of recipes to add both variety and flavor to your dish. 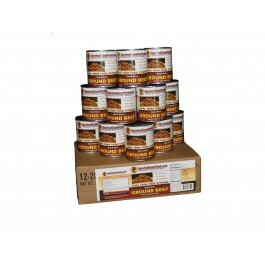 Ordering one case of Survival Cave’s ground beef meals is enough to keep your family well nourished for days on end. Order yours today to ensure you are not only well prepared for emergencies but also have enough to prepare as and when your taste buds need some gratification. You will receive an overall total of 12 cans with 28 ounces in each and every can, no water or broth added in, just the all-natural juices of the meat. You are going to receive a total of 108 servings. That’s a full 21 pounds of fresh yummy wholesome hand packed and cooked meat. This delightful line of meats is prepared to provide you with the highest possible quantity for one's food dollar. They are simply hand packed and “non mechanically separated meats” and we NEVER ADD WATER or broth. This helps to ensure that what you purchase is meat. After you open up these cans there're ready to consume and delicious in virtually any recipe you would use fresh prepared meat.